Art shops, stationary shops and book shops - I loved them all growing up. 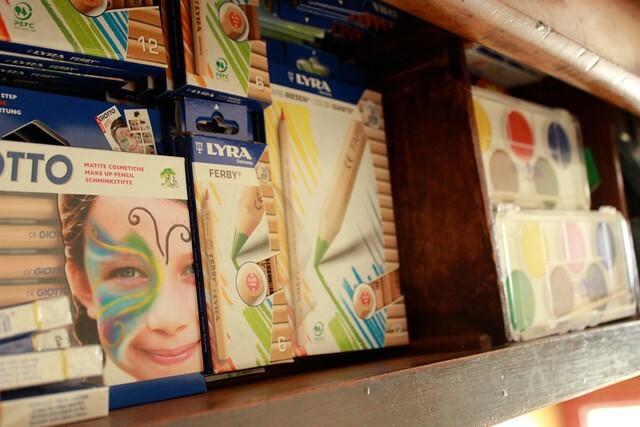 My childhood collections included stickers, rubbers, note boooks and writing paper and fancy pens of all kinds. I loved my water colour pencils which my own kids are now using! I was so swept up in your narrative! I love art shops and art supplies. I often wonder if it wasn't part of the reason I went off and studied fine art at Uni after school. So many art supplies! I still love a blank page and a new box of pencils.